Democratic caucus-goers at the University of Northern Iowa's Maucker Union form viable groups for delegates the night of Feb. 1, 2016. Democratic caucus-goers at the University of Northern Iowa’s Maucker Union in Cedar Falls, Iowa, form viable groups for delegates the night of Feb. 1, 2016. The anticipated large crowds for Iowa’s first-in-the-nation presidential precinct caucuses were packing Democratic and Republican meeting places Monday night, delaying some caucuses. When the caucuses finally were over Texas Sen. Ted Cruz won with more votes than his two closest opponents in the Republican straw poll: businessman Donald Trump and Florida Sen. Marco Rubio. The Democratic field was close, with former Secretary of State Hillary Clinton barely leading Vermont Sen. Bernie Sanders in what was close to a virtual tie on the Democratic side. Turnout has been considered to be a critical factor with so many candidates in both the Democratic and Republican fields, and because of the appeals candidates who are not part of the party mainstream have had during the Iowa campaign. The night certainly has had drama. Samuel Ogilvie, also caucusing in Cedar Falls, said he supported Kentucky Sen. Rand Paul, who touts himself as having libertarian values in a Republican Party bid. Ogilvie, who is 20, said he enjoyed the caucus. The University of Northern Iowa Maucker Union served as one of two Democratic caucus precinct locations for UNI students living on campus on Monday night. A line that wrapped around the union’s entire food court consisted almost entirely of UNI students. 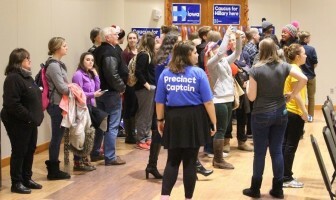 The caucus didn’t begin until 7:49 p.m.
About 150 voters had been expected at a Republican caucus in Ames, at St. John’s Episcopal Church, in an area that includes most of Iowa State University’s Campustown, but hundreds were forced to move outside because of overcrowding. Democrats pack an Iowa City Public Library meeting room for the start of Tuesday night’s Iowa presidential precinct caucuses. Caucus sites at the Iowa State University’s Memorial Union, Scheman Building and Hansen Agriculture Center and at Ames Middle School also had high turnout, Iowa State Daily reporters and caucus attendees reported tonight. 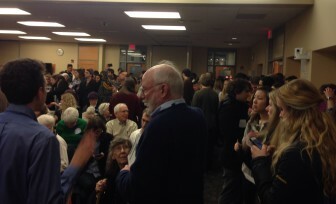 The Iowa City Public Library’s Meeting Room A was packed as Democrats gathered there. Iowa City, like Cedar Falls in Black Hawk County and Ames in Story County, is a university town where candidates from both parties caucusing tonight have tried to entice young voters. 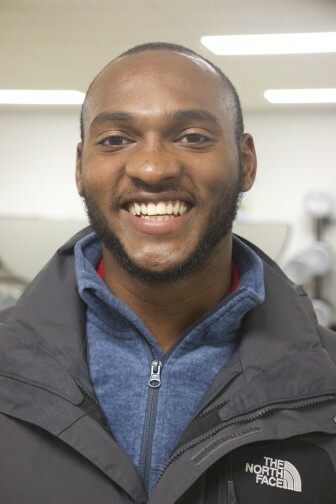 Down the street from the library, Republican chair coordinator Brendan Weber, 21, of Iowa City said the overflow turnout for a caucus at Robert A. Lee Community Recreation Center was not anticipated. In a small room with less than 40 chairs caucus-goers were standing against walls, sitting on the floor and, after the scheduled 7 p.m. starts, still in the hall. A second room of similar size was found just after 7 p.m. in hopes of finding room for everyone. In order to accommodate the switch to two rooms, Weber and others speaking on behalf of their candidates gave their speeches in one room. Voting in the straw poll was next before the process was repeated in the second room. Some 438 Democrats also met at the recreation center in a gymnasium, where a line long formed outside of the entrance. Twenty minutes after 7 p.m. neither the Republicans nor Democrats at the center had begun. Finally, around 7:25 they could get going, although with some creative fixes to what could have been snafus. Lacking the American flag, one student improvised at the Republican caucus being held at the center by holding up his phone with a picture of the flag for the Pledge of Allegiance. Votes tallied at the Republican Party caucus at Iowa City’s Robert A. Lee Community Recreation Center. “I don’t know what the Iowa GOP thought about how many people would show up but they obviously messed up,” Weber said. Fewer than 100 people showed up for the Republican caucus at Iowa City’s Horace Mann Elementary School but that was more than expected. Iowa City is in Johnson County, the state’s most heavily Democratic county. Those running the Horace Mann elementary Republican caucus had to leave in order to print out enough forms for everybody. In general, the atmosphere was calm. Lines here were not overwhelming. 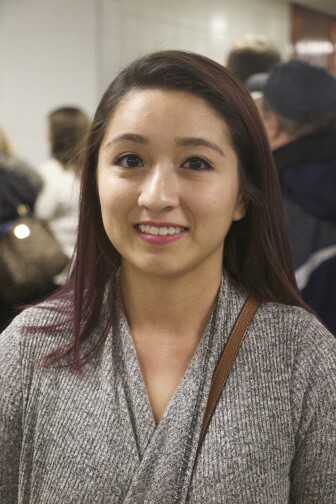 The caucus attracted voters ranging in ages from college students through retirement. 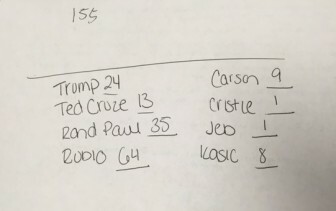 Rubio won this caucus with 39 votes, Paul took second with 22 votes and Trump took third with 11 votes. Bob Moninger, 77, a retired music teacher from Iowa City who has been going to the caucuses since 1964, said he opted for former Florida Gov. Jeb Bush. 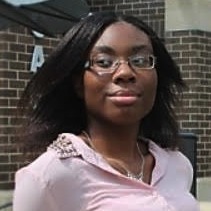 Reporters Krista Johnson, Danielle Wilde, Clinton Olsasky, Leziga Barikor, Haley Hansel, Hannah Soyer and reporters at the Iowa State Daily contributed to this story.